The Riigikogu discussed the governance reform as a matter of significant national importance. The idea, the possible content and the implementation of the governance reform were discussed in the reports and comments. Reports were by the Chairman of the Constitutional Committee Kalle Laanet, Prime Minister Taavi Rõivas, sworn advocate Jüri Raidla and the Chairman of the State Reform Support Group of the Riigikogu Tanel Talve. Laanet said that, when carrying out the governance reform, it must definitely be taken into account that the more serious problems of Estonia are connected with the decrease of the population. He also noted that the governance reform is related to the issue of peripherisation. Prime Minister Taavi Rõivas said that the governance reform has three main objectives: availability of high-quality public services all over Estonia, reduction of the administrative burden of undertakings in communicating with the state, and increasing of the efficiency and flexibility of the public sector. Raidla said that the aim of the state reform, the concept and content of the state reform and the scale of the state reform in time and space would need to be negotiated. 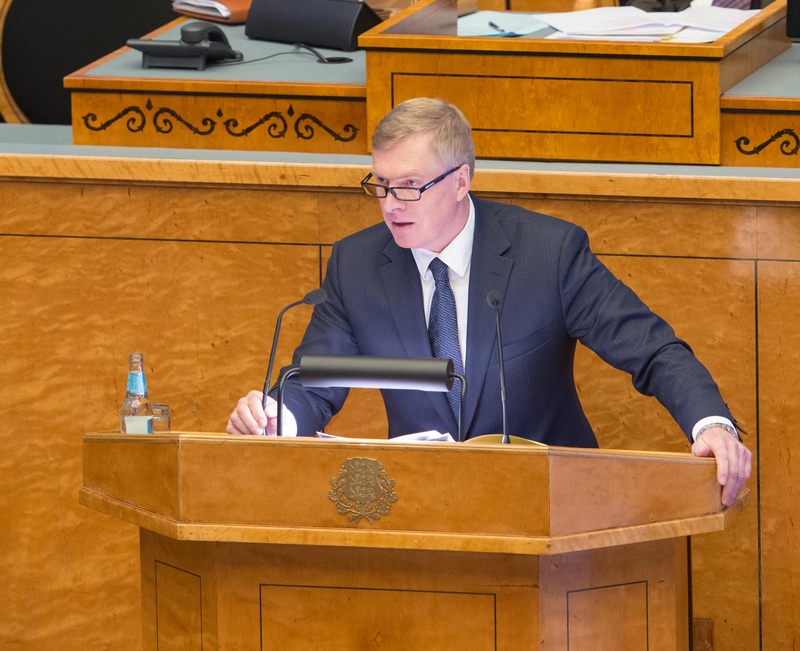 In his report, he pointed out the need to reduce the number of the members of the Riigikogu, to involve the people more through referendums, to curb the legislative drafting hampering the state and the society, and to make the office of the Prime Minister an independent institution and to make the Prime Minister the head strategist of the Republic of Estonia. 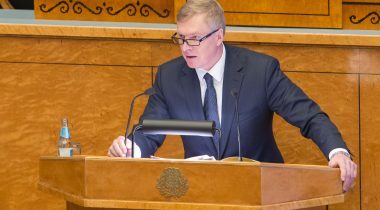 Talve said that the support group had also made its proposals for drafting the grounds for the state reform to the Constitutional Committee of the Riigikogu. Toomas Kivimägi, Andres Herkel, Tarmo Tamm, Urve Palo, Helir-Valdor Seeder, Jüri Adams and Peeter Ernits took the floor during the debate.